Our 2019 emerging destinations were selected by panels of some of the top travel bloggers, vloggers, and podcasters from around the world. Learn a little bit more about our awesome judges here. And be sure to go follow them! Kiersten is a California native who has traveled to over 70 countries in the 6 years since she left her corporate finance job. She is the founder of The Blonde Abroad, a go-to resource for solo and female travel around the world. Matt is the New York Times best-selling author of How to Travel the World on $50 a Day. 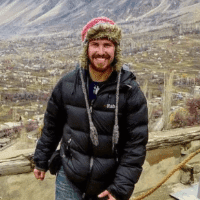 Through his site Nomadic Matt, he has helped millions of travelers travel cheaper, better, and longer. Click here to read my interview with Matt. In 1999, Derek flew to Bangkok with just $1,500 to his name. He's been traveling nonstop since, visiting over 100 countries across 6 continents. 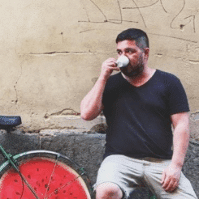 In addition to his blog, he runs Wandering Earl Tours, which takes small groups around the world. Kristin left home to travel in 2012 and hasn't stopped since. Her adventures include hitchhiking China solo and even becoming a Buddhist nun for 10 days. 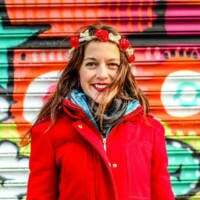 Her site Be My Travel Muse helps empower women to travel, especially solo. 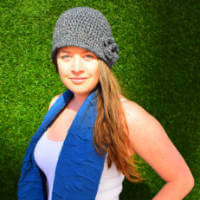 Alyssa is a solo female adventure traveler who has been to 85+ countries and all 7 continents. Through her social media and blog, My Life's a Travel Movie, she chronicles her incredible experiences and inspires others to travel. Erick is a travel journalist and photographer on a journey to become the first African American to visit every country (he's been to 93 to date). He writes about his travels at his site, Minority Nomad. A serial entrepreneur and world traveler, Travis hosts the popular travel podcast Extra Pack of Peanuts. Known as "Rick Steves for the new generation", he teaches listeners how to travel more with less. Kara and Nate are on a mission to visit 100 countries by the year 2020. 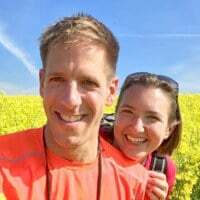 They vlog about their travels on their Youtube channel, where they've published over 500 inspiring videos covering travel across 6 continents. 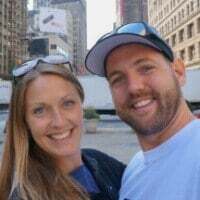 A Canadian couple who has been traveling the world for 8 years, Dariece & Nick run the lifestyle and travel blog Goats on the Road, a popular site with over 350k+ hits per month and a highly-engaged reader base. 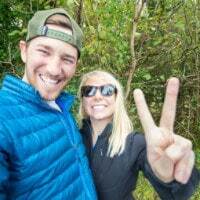 A Wisconsin couple who has traveled to over 75 countries, Hannah and Adam run the site Getting Stamped, where they write travel guides, tips, and stories from around the globe. Nadine is a vlogger and videographer who shares her travels (she's been to 50+ countries) in fun videos on her Youtube channel, with 413,000+ subscribers. She's been featured in CNN, Forbes, BBC, and numerous other media outlets. An Australian couple traveling the world for a decade, Jarryd & Alesha are the authors of the adventure blog NOMADasaurus. From breaking world records in chicken buses to getting engaged in the world's largest cave, their crazy adventures continually inspire their 200k+ followers. 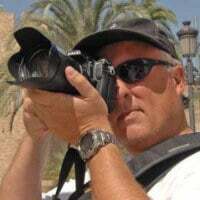 Recognized as one of the best in the business by everyone from National Geographic Traveller to The New York Times, and especially renowned for his incredible photography, Gary Arndt documents his 11 year sprint around the world at his site Everything Everywhere. Leaders in the sustainable travel movement and especially known for their travel to less touristed destinations, Audrey & Dan's site Uncornered Market encourages travelers to think deeper and work to make sure travel is a force for good in the world. Mari is an American who’s traveled around the world and currently resides in New Zealand. Mari loves helping others see the world and documents her travels on her popular and highly energetic YouTube channel, which reaches over 50,000 subscribers. 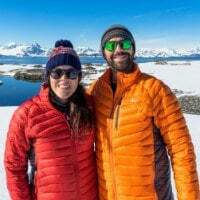 Cameron and Natasha are an intrepid couple who have traveled to over 75 countries and have grown their blog The World Pursuit into one of the most popular in the world and have been featured in outlets such as Lonely Planet, Travel+Leisure, and BBC. An American couple who quit their corporate desk jockey jobs in 2015 to adopt a vagabond lifestyle, Collete & Scott are the inspiring travel influencers behind the popular couples' site Roamaroo, which has been featured on the likes of the Travel Channel, BBC, Matador Network, and more. 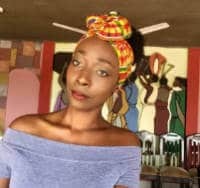 Lorissa is a London-born Ghanaian who chronicles her adventuring migrating to Ghana at The Only Way is Ghana, which has over 1 million views on Youtube, has won numerous accolades as one of the best travel and influencer sites in Africa, and has been featured on BBC and CNN Africa. 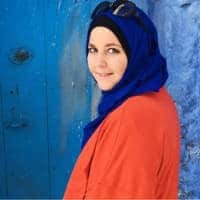 Originally from the United States, Amanda lives in Morocco and writes the highly-acclaimed site Maroc Mama, where she helps food adoring readers plan authentic experiences around Morocco and the world. Patrick is a world traveler from Germany, who loves to explore unique and adventurous destinations with his backpack. 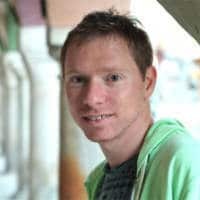 His journey has already taken him to more than 65 countries all around the world and he documents his experiences on his bilingual travel blog German Backpacker. 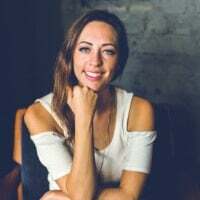 An award-winning travel blogger behind the celebrated site Jessie on a Journey, Jessie inspires solo travelers to explore their passion for travel and think beyond the box. Jessie teaches aspiring bloggers how to grow their blog into a business, and she is also a certified guide in her hometown, New York City. 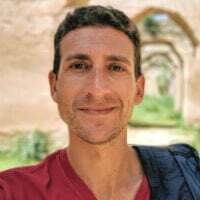 Will is an adventurer who has been traveling the world for a decade, a location independent entrepreneur, and the face behind the popular budget travel site The Broke Backpacker, where he shows readers how to travel the world on $10 a day while setting up an online business. Nate is an ex-plumber turned full time traveler, influencer, and digital entrepreneur. 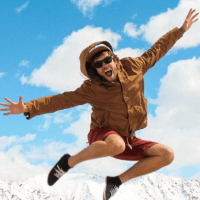 Through his fun and high-energy social media accounts, Nate documents his life traveling and surfing the world. 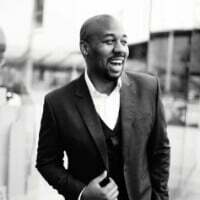 He is also the founder of Wired Creatives, where he helps train aspiring online entrepreneurs. 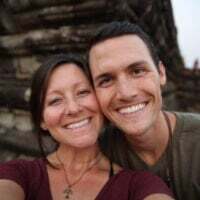 Katie and Ben are an American couple and the authors of the site Two Wandering Soles, where they write about van life, responsible travel, and food. 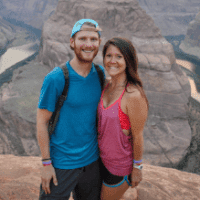 They have been traveling the world for five years and counting. 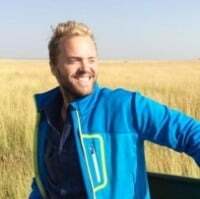 Nathan is the food-obsessed founder of Foodie Flashpacker, a travel site where he writes about his adventures eating his way around the world. Nathan left on what he thought would be a six month trip to SE Asia four years ago, and hasn't stopped traveling since. 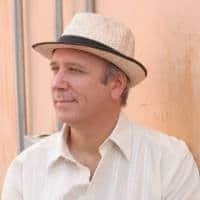 Timothy Scott is the editor of Luxury Latin America online magazine, the leading information source for upscale travelers headed to Mexico, Central America, and South America. Authors of one of the largest gay travel blogs in the world, Stefan & Sebastien left home in London in 2014 and have been traveling the world ever sense. 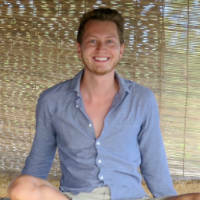 At the Nomadic Boys gay travel website they showcase the best in gay travel, cultural immersion, and food from around the world. 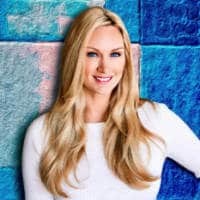 A San Diego-based travel content creator, entrepreneur, and lifestyle influencer, Kamelia is a nurse who started her rapidly-growing travel site Hackerette to help her followers learn how to score great travel deals and to travel the world in fashion. 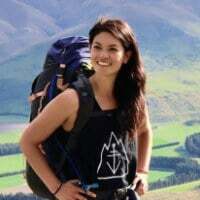 A nature-obsessed Australian journalist and professional travel blogger who has visited all seven continents and 50+ countries, Meg is the creator of Mapping Megan, a site where she writes about her exploits exploring some of the world's most unique destinations. 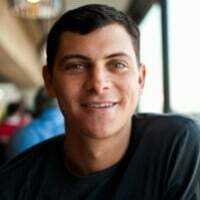 Adam is a New York City-based traveler, hipster, and creator of one of the world's most unique travel blogs: Travels of Adam, where he writes guides aimed at helping you visit the cool and cultural side of destinations around the world. 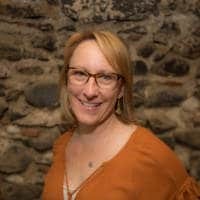 A digital wanderer and career break guru who has been traveling the world since she quit her corporate job in 2006, Sherry's site Otts World has been featured in prominent media outlets such as CNN, Lonely Planet, and The Washington Post.